Even in the fall and winter, especially now when I’m quite busy wrapping up my first quarter of my Masters program (yippy!!) I have My Morning Smoothie, something that has been so important in my IBS recovery. With it being almost December I’ve been enjoying some of those fall and winter fruits like pomegranates. 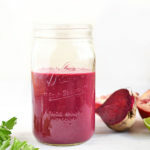 Together with some purple beet and lime for a tart punch, this smoothie is so refreshing and delicious! Bonus, the color is stunning. Such beauty in God’s creation! 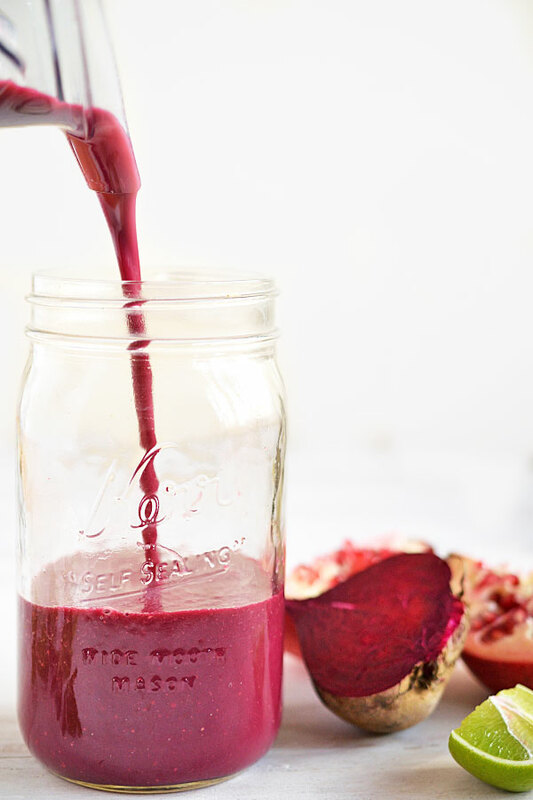 I love the simplicity of a smoothie made only with fruits and veggies. Collard greens are one of my favorite greens, but often aren’t used, especially in smoothies. However, they’re such a great source of plant-based calcium and other nutrients like vitamin A, potassium, iron, and protein. The kicker though, is that combo of earthy beets, sweet and sour pomegranate seeds, and tart lime. It’s so fun to get creative with such nutrient-dense, antioxidant-rich plant foods with all of their amazing and intricate flavors. So go get creative yourself and change this recipe around to highlight the fresh produce you’re able to get right now. Add as much greens and celery as desired. I use a ratio of about 1:1 for vegetables to fruit, which ends up being about one large collard leaf and all of the inner stalks and leaves of a celery head. Roughly chop or slice a beet, and add as much as desired. I use about 1/2 of a large beetroot. Add about 1/2 the amount of veggies used in pomegranate seeds, or more if desired. Depending on how sweet you want the smoothie, add 1/2 to 1 large banana. I like my smoothies on the tart side, so I use about 1/2, but use as much as you'd like. The more you use, the thicker and creamier it will be, especially if frozen. I recommend using at least 1/2 of a banana for 1 to 2 smoothies for that creaminess; use less, and the smoothie will separate easily and be watery. Lastly, add a few sprigs of fresh parsley and about 1/4 of a lime, or more if a super tart smoothie is desired. I simply peel the lime and throw it in rather than just juicing it. 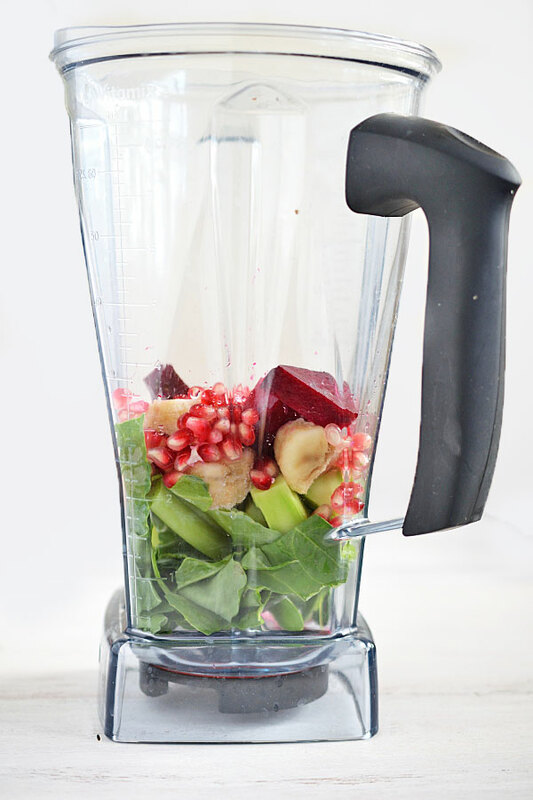 Fill up your blender with water until it reaches about 1/4 of the way up your ingredients. Blend on high until smooth and creamy! Enjoy!